One of the grooviest Brazilian albums you could ever hope to buy – and one that's not even from Brazil, either! This little gem was recorded in France in the early 70s – but it's got a swinging groove that's very similar to the work of Sergio Mendes & Brasil 66 during the 60s – upbeat, bossa-inflected, and with a strong undercurrent of jazz! 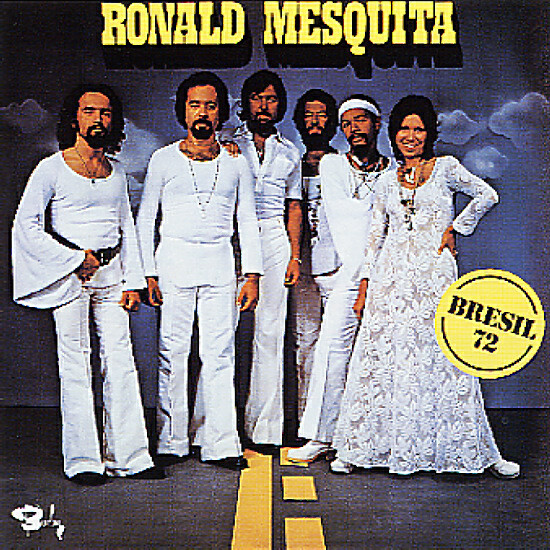 Mesquita's group is a lot like Sergio's – right down to its mix of two vocalists on the lyrics – but there's a few important differences: this group's got one male and one female singer, a lot more percussion than Sergio ever used, and an overall sound that's less pop-oriented, and much harder overall! The whole album's great – tight, driving, and lively, with some incredible production – and titles include "Balanca Pema", "Dabadeia", "Aguas De Marco", "Fechado Pra Balanco", "Zanzibar", and "O Gato". © 1996-2019, Dusty Groove, Inc.